More than 50,000 mortgage signings are ordered via Snapdocs every month, and Notary Signing Agents in our network can gain a competitive advantage by becoming “Snapdocs Verified”. In fact, Verified NSAs on average get five times more assignments through us than other NSAs. For NSAs who are NNA Certified, you will still need to upload all 4 pieces of information. However, we encourage you to make sure you sync your NNA information with Snapdocs. Companies we work with have the option of customizing their criteria for being Snapdocs Verified by requiring NNA Certification. For those companies, only NNA Certified NSAs who have uploaded the required information mentioned above would show up as Verified. Snapdocs Verified status lends immediate credibility and creates trust among title companies that can be confident that they’re complying with industry standards (like the American Land Title Association’s Best Practice Pillar 4) and minimizing risk by working with these distinguished Notaries. Snapdocs Verified NSAs hold a higher standing in our online database. The designation is valuable because it’s determined by an authority, confirms that additional security requirements have been met and elevates the Notary’s status in the eyes of title companies and signing services. In addition, it gives NSAs an automatic advantage in winning business. As of last fall, Snapdocs made it possible for title companies to auto-assign orders based on Notary verification, experience and reviews. Many of the biggest title companies utilizing Snapdocs are already taking advantage of the function; fully half of these Snapdocs orders are automatically filled. Both Snapdocs Verified and non-verified Notaries are contacted for these orders, but only Snapdocs Verified Notaries can be automatically assigned if they reply that they are available. If no Snapdocs Verified Notaries indicate that they are available, the scheduler can then select from all non-verified Notaries who have expressed interest. If you're a new Notary on Snapdocs, becoming Snapdocs Verified is a great way to begin grabbing orders. In just a few months, the auto-assign function has been adopted by five major title companies. And the fact that only two in five active Notaries in the Snapdocs database are Snapdocs Verified means there’s ample opportunity for unverified Notaries to undergo the simple 4-step verification process and get a leg up on their competition. Aaron King is the founder and CEO of Snapdocs Inc., a modern technology platform that simplifies mortgage loan closings. 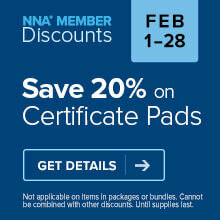 Why is the NNA promoting a platform that encourages lower fees to the notary? I've been snapdocs verified for over 8mons now and I continually state available on assignments to which I never get! Can anyone give me any suggestions as to why this is happening or how to fix it? Thank you for your time. What background screening company can I use to get verified besides NNA. I would like to get a Signing assigning. Alexis Carter, give NNA a call and they will give you all the information as to how to get a background check completed. I had mine completed before i contacted them and now I have to pay for one with them. So check with them and get the correct information you need. Good luck.